Very promising to see 9 Victorian bred/sired horses in the 16 horse Group 1 Blue Diamond field on Saturday. This is up from just 5 Victorian breds in 2015 and a mere 3 in 2014. Flying Artie, bred by Victoria’s John Shannon lead the way coming in second after a tough run. Capitalist and Dieters, both sired by Woodside Park’s Written Tycoon, are expected to make their race track return this Saturday in the Group 2 Todman Stakes at Randwick. Both are well in the market for the Golden Slipper. Another Golden Slipper chance Defcon, bred by Victoria’s Gleneagles Stud, is also entered for this Saturday’s race. Mitchell Road, a son of Eliza Park sire Magnus, booked his trip to the $400,000 ATC Country Championship Final following a strong runner up effort in the Wagga Wagga $100,000 heat last Saturday. Lauriston Thoroughbred Farm graduate Barnato was back in the winning stall at Singapore on Friday night. Trained by Patrick Shaw, it was his first win since October 2014. Triple Effort, a son of Eliza Park sire Sharkbite got his first win at Yarra Valley on the weekend. He was bred by Jonathan Munz’s GSA Bloodstock. 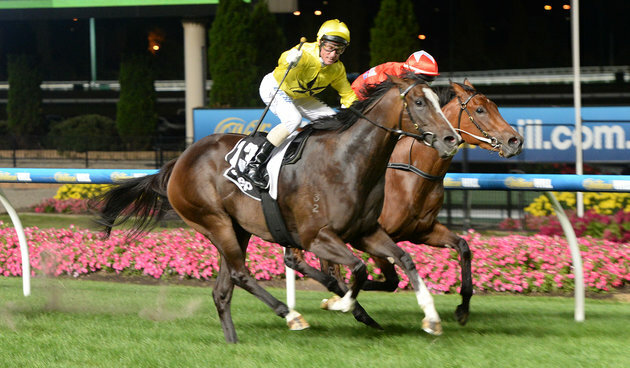 Jennyfromtheblock (by former Swettenham Stud sire Kaphero), a $22,500 Adelaide Magic Millions Yearling purchase from Ampulla Lodge won the 955 metre 55 second challenge race at Moonee Valley on Friday night. She is trained by Lloyd Kennewell in Adelaide and has won more than $235,000 now. There was a win last week at Pakenham to Victorian bred Prussian Vixen (a son of Bombora Downs sire King of Prussia). He was bred and now trained/owned by Michael Mehegan. Our Miracle won last week at Warrnambool for local trainer Merv McKenzie. The winner was bred in Victoria by Dr Angus McKinnon and is sired by Riverbank Farm’s Astronomer Royal. The Makybe bred Believe remains unbeaten after two runs following her win at Rosehill and looks set for black type racing. Trained by Anthony Cummings in Sydney, her dam is Optimist, a sister to Makybe Diva. At Launceston on its Cup Day, Hot Dipped (by Woodside Park sire Written Tycoon) won the Listed 2yo Gold Sovereign Stakes making it 3 wins from as many runs for the super impressive juvenile. Impressive debut win by 3yo filly Our Sevira at Bendigo last week. 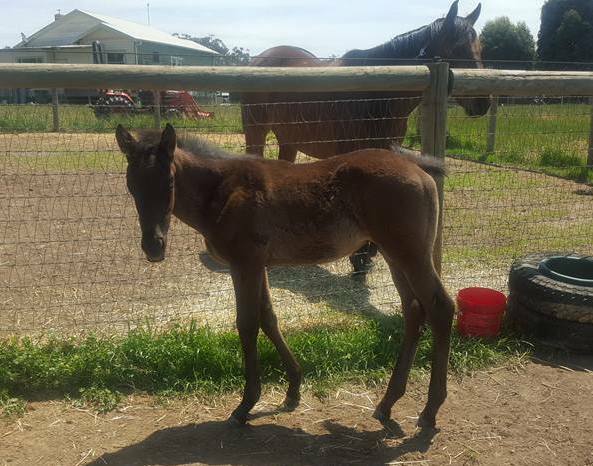 She was bred by TBV member Thomas Inglis from Korumburra and is sired by Eliza Park International’s prolific sire Magnus. Victorian studs and Victorian bred yearlings dominate the leader board after the first two days of the Inglis Melbourne Premier Sale. Eight of the Top 10 priced yearlings sold have been sold by Victorian vendors with all but one of these being bred in Victoria and nominated to VOBIS. At the end of Days 1 and 2, the average price of $115,625 is up 19.2% when compared with the first two days of last year’s sale. The clearance rate at 86.6% is also up on last year and expected to grow even higher. The Blue Riband Session (held on Sunday afternoon this year rather than the Monday) saw 37 lots sold at a spectacular average of $189,000 which is a 41% increase on last year. There has been significant action from the international buying bench with buyers from China, Macau, Hong Kong, South Africa, Ireland, Korea, Malaysia, the United Arab Emirates, the United Kingdom and New Zealand all obtaining at least one lot. Many will remain in Australia to be trained. Nagambie’s Swettenham Stud created a Premier Sale record when its Fastnet Rock – Hidden Energy VOBIS nominated filly was purchased by Pat Carey/Group Oen Bloodstock for $675,000 on Sunday. This is the highest priced filly to ever go through the ring at the Oaklands Junction complex. Euroa’s Blue Gum Farm was next best with a Fastnet Rock – Port Augusta filly ($460,000) and a Street Cry- Original Choice VOBIS nominated colt bred by Des Pope ($375,000). Studmaster Philip Campbell had pin-hooked the Fastnet Rock filly for $200,000 at last year’s Magic Millions National Foal Sale. Modewarre nursery Glentree Thoroughbreds was also on the leader-board with the Lot 205 $340,000 Snitzel – Miss Iguacu VOBIS colt that caught the eye of agent Michael Wallace and the China Horse Club. His dam is a half-sister to G2 Ajax Stakes winner Niagara. 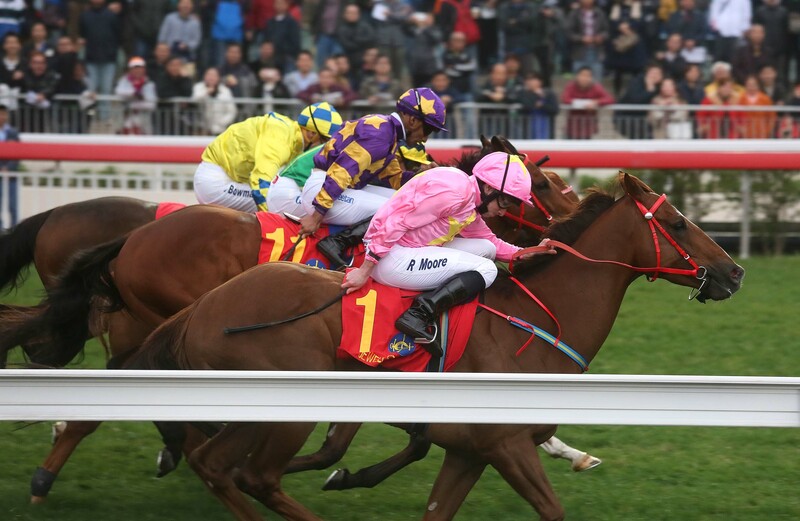 “We’re delighted to get a result like that and with the purchaser China Horse Club, we are confident he’ll get every chance with them,” said Glentree Manager Luke Simpson. Barwon Valley farm Rosemont Stud contributed to the Top 10 table with a Shamardal VOBIS nominated colt selling for $320,000. He is from a British-bred half-sister to Champion European stayer Persian Punch and was sold to agent John Foote for $320,000 (acting on behalf of a Hong Kong client) and will go into training with Darren Weir. Rosemont’s Anthony Mithen put a lot of effort into this great sale outcome, having bought the dam at a broodmare sale in France, mated her to Shamardal in Ireland at Southern Hemisphere time and then shipped her to Victoria prior to foaling down the colt. The Victorian vendor leading the way by averages over the first two days is Nagambie’s Gilgai Farm. 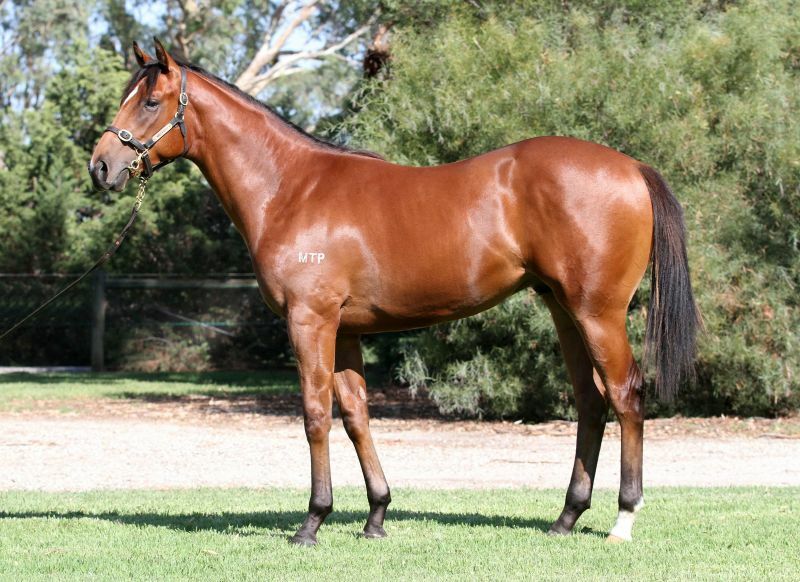 They have sold all 9 of their lots averaging $183,889 including a Stratum-My Emotion filly to a Chinese buyer for $300,000. Interestingly, they also sold a Casino Prince VOBIS colt to trainer Ciaron Maher – the same trainer who purchased his 2015 VRC Oaks winner, Jameka, off Gilgai just two years ago. Gilgai are followed in the Victorian vendor averages (3 or more lots sold) by Bunyip’s Ampulla Lodge and Rochester’s Burnewang North Pastoral. Swettenham Stud set a record price for a filly at the Melbourne Premier when its Fastnet Rock – Hidden Energy filly sold for $675,000 on Sunday. Mornington trainer Pat Carey signalled the final bid to get the better of Coolmore Stud’s Tom Magnier at Oaklands. “I think she’s excellent value,” Carey said shortly after signing the sale sheet. 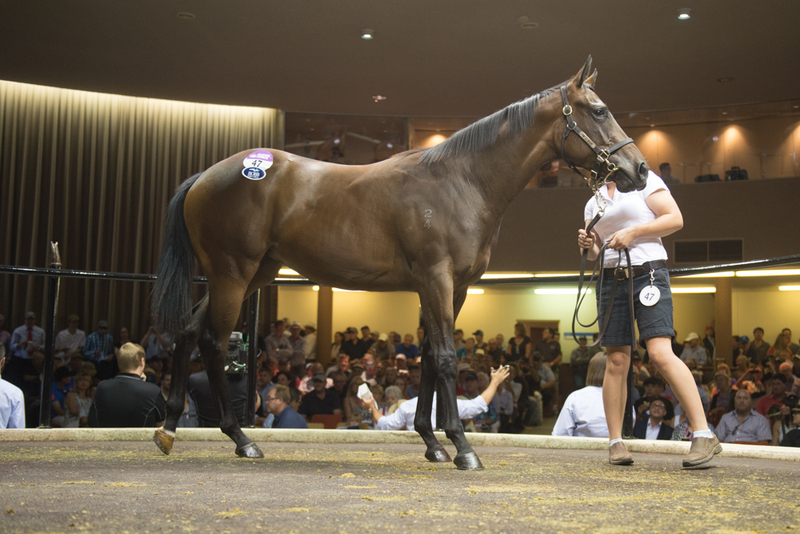 It’s the highest price paid for a yearling filly at Oaklands since Rogerson Bloodstock parted with $570,000 for a King’s Best filly at the 2006 Melbourne Premier. Two years later, Swettenham sold a Bel Esprit filly (as agent) for $210,000 at the Melbourne Premier and she found ever-lasting fame under the name Black Caviar. Sunday’s record-priced filly met all Carey’s selection criteria. “She looks an athlete and is all quality on type. That was indicative of the competition on her – she was targeted from all quarters. The Fastnet Rock filly is a half-sister this season’s stakes placed two year-old Kinetic Design and is from the family of Group 1 mare Kapchat and her stakes winning descendants Solicit and Kaphero. Swettenham’s Adam Sangster owns Hidden Energy and she has a Redoute’s Choice colt on the ground. The mare was bred back to European Group 1 star Toronado (USA) in November. A fluoro flood of winners! David and Jenny Moodie have more Group 1 targets on the horizon after their home bred stars Flamberge and Solicit both won Group races on the weekend. Flamberge scored a career-best victory in the Group 1 Oakleigh Plate (1100m) at Caulfield on Saturday wearing the famous ‘fluoro’ green, purple and gold colours of the Moodies’ Contract Racing. 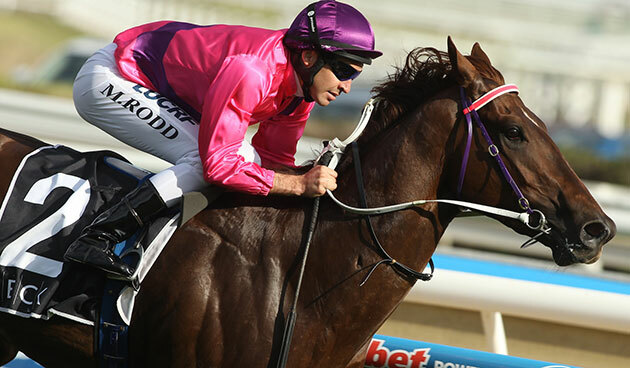 The Moodies will now send the Peter Moody trained gelding to Sydney for the Group 1 Galaxy at The Championships. Flamberge (Exceed And Excel) had won the G1 Goodwood last year but was allowed to go out a $31 outsider after drawing the car park in the Oakleigh Plate. “I thought his race was run at the barrier draw,” David Moodie said. The Macedon Ranges farm of the Moodies bred him from their multiple stakes winning mare Razor Blade (Blazing Sword). She has also foaled the Flemington stakes winners Curtana (Exceed And Excel) and Sunburnt Land (Scenic) along with the Ellerton-Zahra trained Durendal. Contract Racing’s mare Solicit will be set for the Group 1 Coolmore Classic (1500m) at Rosehill on March 13 after beating her rivals in the Group 2 Guy Walter Stakes at Randwick on Saturday. Trainer Gerald Ryan was confident the Street Cry Victorian bred mare would break through in the Harbour City after finished second to Winx at her previous start. “It took the Cox Plate winner to beat her last time,” Ryan explained. Solicit was last seen in Melbourne winning the Group 3 Summoned Stakes at Sandown in November. 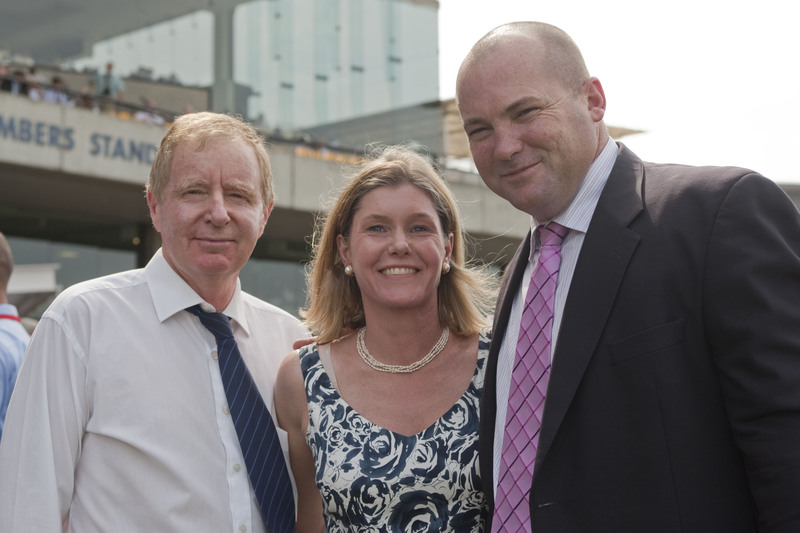 The Moodies bred and race her in partnership with Nick & Gayle Psaltis. Street Cry sired her from Flemington stakes winner Princesa (Danehill) and second-dam Kapchat (Centaine) was a Group 1 winner of the Coolmore Classic. More interstate black-type beckons the Contract Racing team in Queensland with their experienced sprinter Pillar Of Creation. He won the GPK Handicap (1350m) at Doomben last Saturday and is being targeted at the Listed Weetwood Hcp at Toowoomba in April. Pillar Of Creation (by Greta West sire God’s Own) moved from Melbourne twelve months ago and trainer Tony Sears had been frustrated watching him run placings in the Listed Weetwood and Listed Glasshouse races last year. 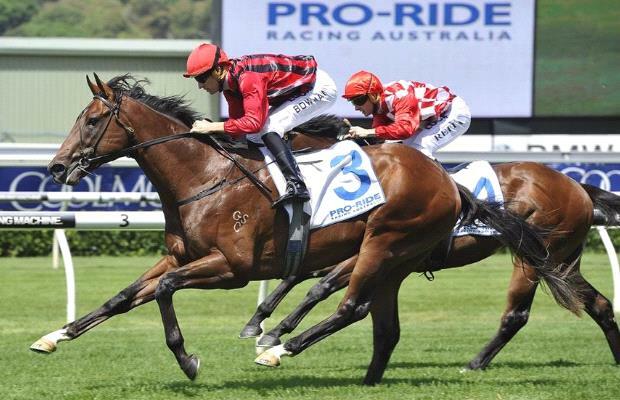 The unlucky run continued losing the Listed Sunshine Coast Cup on protest in January. Emirates Park Victoria sire Artie Schiller (USA) has two colts heading to the G1 Golden Slipper Stakes following black-type strikes in Sydney and Melbourne on Saturday. His Gooree Park homebred, James Cummings trained Good Standing is now exempt from a ballot for the Golden Slipper after winning the Group 2 Skyline Stakes (1200m) at Randwick. And the Mick Price trained Flying Artie will join him at Rosehill on March 19 after finishing a fast finishing second to stable-mate Extreme Choice in the Group 1 Blue Diamond Stakes (1200m) at Caulfield. Extreme Choice ($3.60) has taken over as TAB pre-post favourite for the Golden Slipper from Written Tycoon colt Capitalist ($4.60) who had been market-leader since winning the Magic Millions Classic. Artie Schiller fills out a strong hand for Victorian sires in the Golden Slipper with Flying Artie next at $8 while Good Standing is on the fifth line at $15. Good Standing became the 30th stakes-winner for Artie Schiller when he ran down Lionhearted (Fastnet Rock) by three-quarters of a length in the Skyline. He is from Sydney winner Elahi (Giant’s Causeway) and second dam Tempest Morn (Thunder Gulch) also carried Gooree Park’s black and red striped silks winning the Group 1 STC Australia Stakes and Group 1 South Australian Oaks. “He’s got plenty of natural ability and won with a good bit in hand,” trainer James Cummings said. “He will appreciate the experience because I don’t think his mind was on the job at all. Caulfield trainer Mick Price praised both his colts after they filled out the quinella in the Blue Diamond. “It will feel even better if we can win the Golden Slipper with either of them,” he said amid celebrations on home turf. Flying Artie was bred in Victoria by John Shannon and had won the Group 2 Blue Diamond (C&G) Prelude earlier this month. He is the second winner from Rubiton mare Flying Ruby (winner of Listed Bow Mistress Stakes). Jockey Damien Oliver believes Flying Artie has more scope for improvement. Artie Schiller has moved past $1.7 million in earnings this season. In addition to his exciting 2-year-olds, the sire has talented mare I Love It which won the G3 Vamos Stakes in Launceston on February 21. Trainer John Salanitri will either run I Love It in the Group 3 Frances Tressady Stakes (1400m) at Flemington this Saturday or give her a break in readiness for the Group 1 Robert Sangster Stakes in Adelaide. 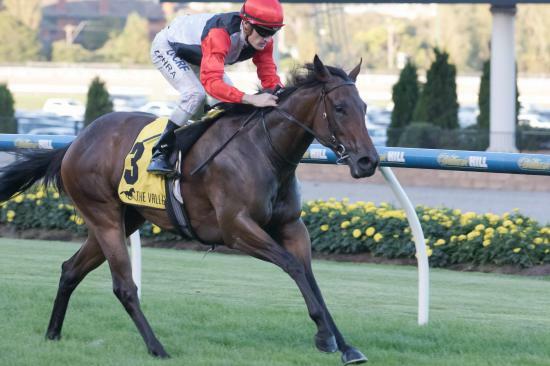 Rising star Almighty Girl has scored a milestone win for co-trainer Mitch Beer and breeder Jen Fowler on the G3 Typhoon Tracy Stakes (1200m) at Moonee Valley. In just three starts since January 18, the Victorian-bred filly has gone from a Mornington maiden win and a narrow second at Flemington, to post a career-best victory over highly-regarded Secret Agenda on Friday night. Almighty Girl (Beneteau) was bred at Fowler’s Merrivale Farm and sold for $40,000 through the Glenelg Park consignment at the 2014 Melbourne Premier. Her dam Sybarite (Last Tycoon) is a half-sister to South African champion Laisserfaire and Australian stakes winners Foreplay and Time Thief. Sybarite was a popular yearling at the 2000 Inglis Easter Sale when Aquanita chairman Peter Howell bought her for $280,000. Laisserfaire had not long won the G3 Kenilworth Nursery and was on her way to South African honours in 2001 and 2002. Howell sent her to Russell Cameron but she was soon packed off to stud after an unplaced debut at Moonee Valley. The mare foaled four minor winners by Hunter Valley stallions before returning to Victoria, in foal to Beneteau, in 2012. Fowler has a Sybarite colt on the ground by Darley Victorian sire Kuroshio and she was bred back to Blue Gum Farm stallion War (More Than Ready) in October. The inaugural TBV Industry Consultation Breakfast held on the eve of the Inglis Premier Yearling Sale was well attended. James O’Brien, President of Thoroughbred Breeders Victoria, said the industry consultation breakfast was a valuable event for TBV and those in attendance. “We were provided with some terrific insight into Inglis, Tabcorp and Racing Victoria and how they are striving to enhance racing and breeding in the future,” James said. 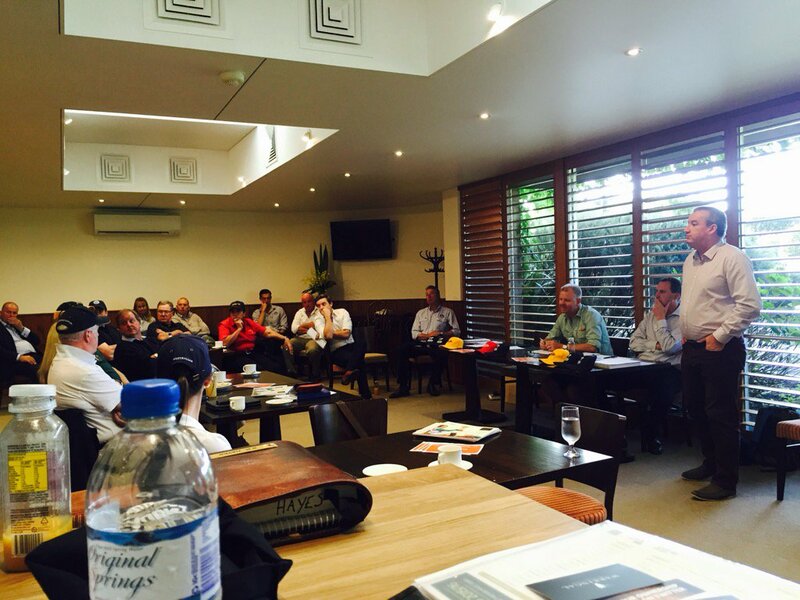 “Breeders were particularly pleased to hear from Inglis’ Simon Vivian about potential upgrades to the Oaklands Junction complex. “From Damian Johnston of Tabcorp, TBV’s principal sponsor, we heard about the current and expected wagering trends and how these impact on returns to racing. “I also provided meeting attendees with details of the review of Super VOBIS. This review is a great opportunity for Victorian breeders to provide input into how we can further improve the $20 million plus VOBIS schemes here in Victoria. Explosive sprinter-miler Rich Enuff has bowed out of racing to stand his first season at Woodside Park Stud later this year. Woodside Park general manager Murray Tillett made the announcement shortly after Rich Enuff drew the curtain on a 12-start career at Randwick on Saturday. “We were setting him for the All Aged Stakes so it’s disappointing because Peter Snowden was convinced he was a genuine Group 1 horse,” Tillett said. Rich Enuff is a good-looking son of Written Tycoon and is the first high-profile stallion to begin stud duties in Victoria this year. A service fee will be released at a later date. Written Tycoon is on top of the Australian 2YO sires’ premiership and his colts Capitalist and Dieters will continue their Golden Slipper preparations in the G2 Todman Stakes at Randwick this Saturday. “The sireline is flying,” Tillett added. Rich Enuff (4h Written Tycoon – Hotnuff by Spartacus) was Melbourne’s star three-year-old at the 2014 spring carnival winning the G2 Danehill Stakes and G3 Guineas Prelude before running a brave second to the Snowden-trained Shooting To Win in the G1 Caulfield Guineas. “We had him going as well or even better than he was as a three-year-old,” Snowden admitted. Swettenham Stud has the most runners of any vendor from the 2015 Melbourne Premier Sale in this Saturday’s G1 Blue Diamond Stakes (1200m). And the great news is they have siblings to each of them at this year’s Premier Sale! The Nagambie nursery sold Valliano (Equiano), Kinetic Design (Master of Design) and Sweet Sherry (Bel Esprit) twelve months ago and the trio have all qualified for the big one at Caulfield this afternoon. Anticipation is building at Swettenham ahead of the Blue Diamond and the 2016 Melbourne Premier Sale on Sunday. Their latest crop of yearlings arrived at Oaklands Junction earlier this week and they’ve been full-on with inspections for last three days. “We started at 8.30 on Tuesday morning and they kept going without a break until 1.30,” Swettenham manager Michael Bolton said from Barn F on Thursday afternoon. Swettenham is using Thoroughworks, a new software system that helps them follow who has been inspecting the yearlings. “Our clients can keep track of interested owners and trainers without having to call us at Oaklands,” Swettenham’s Jess Galvin explained. The Fastnet Rock is a younger half-sister to Kinetic Design who has drawn out wide in the Blue Diamond. She earned the first black-type for Swettenham freshman Master Of Design when placed in the LR Maribyrnong Trial at Flemington in October. Another Swettenham yearling with a growing list of hits on Thoroughworks is the Equiano – Miss Valley Road filly (Lot 624). She is a younger sister to last-start RL Inglis Premier winner Valliano who is gunning to become the sixth Blue Diamond winner for Lindsay Park trainer David Hayes. Swettenham owner Adam Sangster has focused his current yearling crop for the Melbourne Premier. “We wanted to sell in our own backyard and showcase close to home,” he said. “We’re excited to see how Americain will be received – this is the first opportunity to purchase his yearlings. Click here for full details of the Swettenham Stud draft. Hillside Thoroughbreds could have sold flying filly Areti twice as a foal and a yearling but their better judgement prevailed and now she’s one of the chances in the G1 Blue Diamond Stakes on Saturday. Areti (2f Street Sense – Ajamais by Gold Away) looked a readymade racehorse when she won on debut at Moonee Valley on February 5 and a Blue Diamond result will boost the value of her half-sister at the Inglis Melbourne Premier Sale. 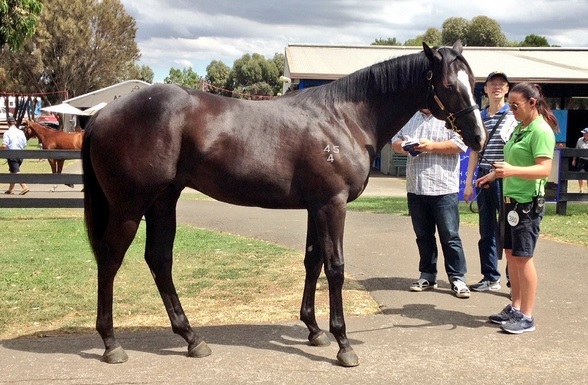 The Americain – Ajamais filly (Lot 441) will be sold from the Hillside draft on Tuesday – catagloue page here. Hillside owner Peter Arvanitis bought into the family when his bloodstock manager Peter Ford purchased French bred mare Ajamais for 12,000 euros at the Arqana Bloodstock Sale in December 2011. The mare’s value kept increasing last year when Solow came out and won five Group 1 races in Dubai, France and England. He is from a half-sister to Ajamais and was voted 2015 Champion Older Horse in Europe. “Areti was entered for the Magic Millions National Weanling Sale but there’s wasn’t much interest and we decided to bring her back home,” Ford said. The filly showed ability from the outset and Peter named her after his wife Areti. The Hillside couple are mad keen St Kilda supporters and Areti will carry the team’s black, white and red colours in the Blue Diamond. 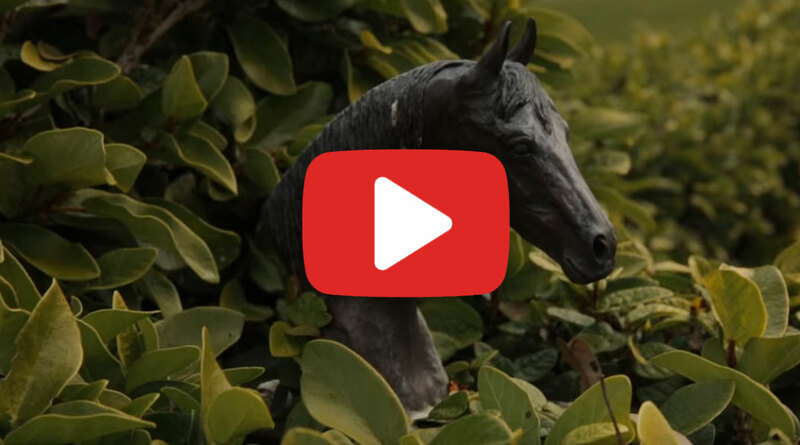 A new promotional video released by Thoroughbred Breeders Victoria outlines the slew of international breeding operators now investing in Victoria. In recent times, Hong Kong’s Sun Kingdom, the USA’s Spendthrift Farm, Al Shaqab Racing, Qatar Bloodstock, Darley and many others have all either begun their involvement in the Victorian breeding industry or significantly increased it. 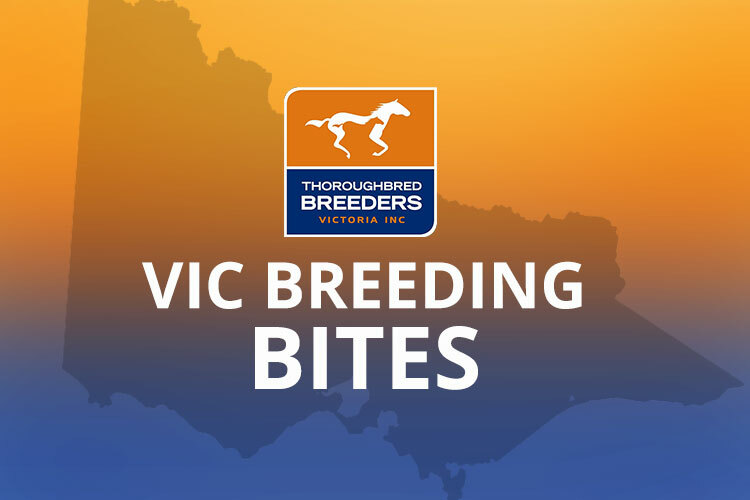 “This major international involvement in the Victorian breeding industry is giving great confidence to local breeders,” said James O’Brien, President of Thoroughbred Breeders Victoria. “Locally based stallions are getting full books, mare coverings by Victorian sires are up year on year, Victorian bred yearlings are topping sales and racehorses raised in Victoria are winning the big races around Australia, New Zealand, Hong Kong, and South Africa. “Add to that the growth of the State’s world leading breeding incentive scheme, VOBIS, to a record $20 million-plus this season and the recent launch of the new $1.5 million VOBIS Sires feature race series. Last year, Spendthrift announced their arrival in Australia through the purchase of Yallambee Stud near Romsey. One of North America’s biggest breeding operators, Spendthrift is sparing nothing when it comes to the infrastructure upgrade of the picturesque farm. They have also been strong on the buying bench in Australian yearling and broodmare sales rings. In the 2015 breeding season, Victoria’s Swettenham Stud also hosted Toronado and The Wow Signal, two of Al Shaqab Racing’s most exciting and impressive young sires. It was a bold play by this prolific and dynamic Sheikh Joaan (of Qatar) owned breeding and racing operator that was welcomed wholeheartedly by Victorian breeders. Toronado was one of the busiest first season sires in Australasia in 2015. Sun Kingdom is the owner of Eliza Park International in the Macedon Ranges undertaking major investment in new infrastructure on the stud’s properties following the takeover in recent years. Like Spendthrift, they too have been major buyers at the sales in a hot yearling market. While Darley, the breeding business of Dubai’s Sheikh Mohammed bin Rashid Al Maktoum, has had a presence at Northwood in Victoria for some years, its recent decisions on new stallions has been instructive and welcome. Brazen Beau and Helmet, superstar multiple Group 1 winners, occupy the stallion barn at Northwood and their presence indicates how strongly Darley believes in Victoria as a breeding state. The 2015 breeding season saw the appearance of one of the world’s very best 3yo sprinters, Zoustar, standing as a sire at Woodside Park at Tylden in Victoria. Shuttling between Woodside Park and NSW in alternative years, Zoustar is part owned by Sheikh Fahad Al Thani’s Qatar Bloodstock. The Qatari operation also has a number of broodmares in Victoria. And, of course, Victorian breeders now have enormous confidence in their industry and are beefing up their broodmare bands and further upgrading the State’s stallion ranks. 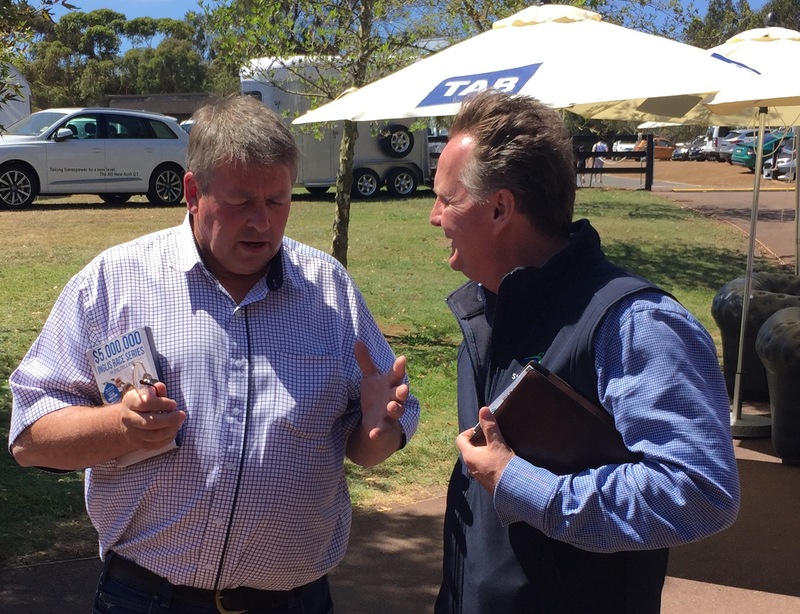 On the eve of the Inglis Premier Yearling Sale at Oaklands Junction complex, James O’Brien said international investment in Victoria and local industry confidence added up to a strong sale. “I am sure it will be a very competitive sale with buyers from Victoria, Australia and overseas all bidding hard for yearlings throughout the catalogue. “In fact, many would argue the Melbourne Premier yearlings have never been better in pedigree and type. “I pay tribute to Inglis, particularly its staff in Victoria, for putting together a great catalogue and hosting an event for our industry to be increasingly proud of,” James said. Buyers at the Inglis Melbourne Premier Yearling Sale will find it difficult to overlook the wealth of Super VOBIS nominated lots on offer in this year’s catalogue. The Premier Sale begins on Sunday and features a catalogue of 755 quality yearlings, more than 500 of which have already been nominated for the lucrative Super VOBIS scheme. Horses must be nominated for Super VOBIS to be eligible for its sister scheme, VOBIS Gold, with the two schemes collectively offering more than $20 million in restricted prizemoney and bonuses each racing season. This year, for the first time, all lots by Victorian sires will be eligible for a $300,000 Vic Sires 2 year-old race to be run in the Autumn of 2017 and then a 3 year-old Vic Sires race worth $300,000 in 2018. These races are a lead up to 2019, when the $1 million VOBIS Sires race for two-year-olds debuts in Victoria’s racing program. The Premier Sale features the progeny from 95 individual stallions, including exciting Victorian-based freshman sires Americain and Squamosa. Inglis Victorian Manager Simon Vivian said his team was looking forward to an outstanding buying bench having successfully canvassed buyers from local, national and international markets. 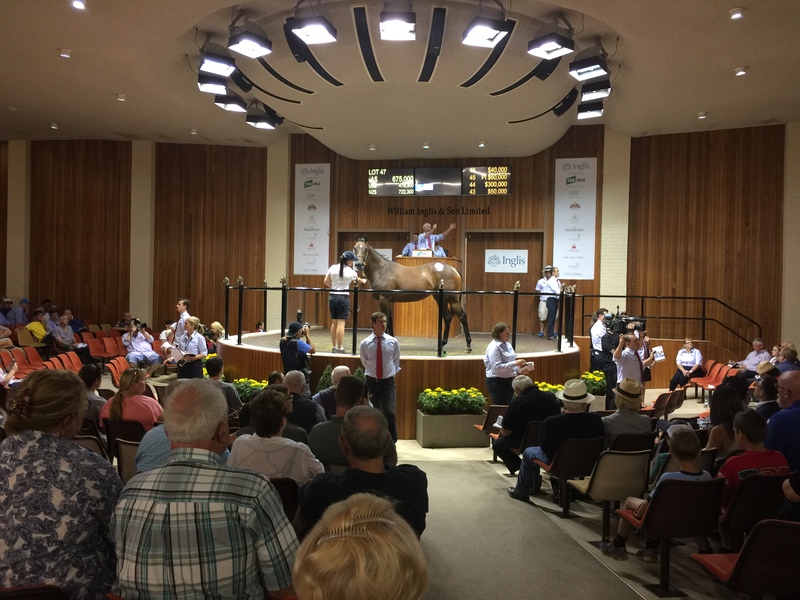 “The Premier Yearling Sale has experienced increases year-on-year due to outstanding vendor support from across Australasia and growth in the quality of bloodstock offered at the sale,” he said. A highlight of the Sale is the Blue Riband Session, which offers 47 regally-bred yearlings that boast what the team at Inglis have determined to be a ‘classic’ pedigree and conformation. 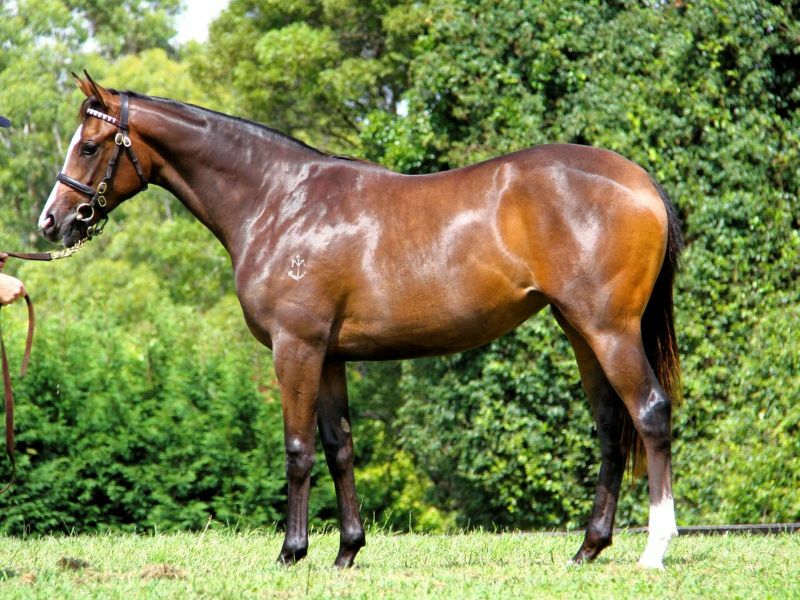 Lot 142 / High Chaparral colt from Doomben Cup winner Cinque Cento. Hollylodge Thoroughbreds has one of the standouts in the Melbourne Premier II catalogue with its Written Tycoon – She’s A Knockout filly (Lot 672). In fact, if the catalogue had been printed weeks later, there is no doubt this yearling would be in Session 1 of the sale! The Super VOBIS nominated chestnut is by Woodside Park’s red-hot sire and is a half-sister to Burning Front (by Primus). Since the catalogue went to print, the Darren Weir trained Burning Front has won more than $270,000 including a Group 3 and two lucrative VOBIS Gold races. “The filly has such a professional approach towards everything,” Hollylodge manager Daniel Nevill said. Burning Front is one of the toughest stakes winners in the country and, if that’s not enough, she’s also by Written Tycoon whose son Capitalist is hot favourite for the Golden Slipper Stakes. Written Tycoon has been in stellar form with 14 winners already this month. And among that tally is stakes winner Shakespearean Lass who was part of a Caulfield treble for her sire on February 6 – Written and Grande Rosso also in winning form that day whilst Press Report was a bold second in the G2 Breeders’ Classic at Randwick. Rich Enuff was also in the placings at Group level first up and can add to his already impressive record in Saturday’s G3 Liverpool City Cup at Randwick. The Written Tycoon filly for sale from Hollylodge is a daughter of terrific broodmare She’s A Knockout. Besides Burning Front (11 wins & $540,000), she has also produced Flemington juvenile winner Apollo Creed and five times winner Cajo Kellila whose son Autonomous is showing plenty of promise for the Darren Weir stable. Hollylodge’s consignment coming down from Avenel also includes colts by Reward For Effort (Lot 218) and Helmet (Lot 342) plus a So You Think filly from LR Gold Sovereign Stakes winner Rock The Moment (Lot 304). Full details of their draft. Millford Thoroughbreds is parading 12 yearlings for the Inglis Melbourne Premier and one of most popular has been the Commands half-brother to top mare La Passe. The colt’s pedigree kept improving during the spring carnival when his older half-sister La Passe won the Inglis Cup at Sandown, G2 Blazer Stakes at Flemington and G2 Tristrac Stakes at Caulfield. The Darren Weir trained mare holds a Group 1 nomination for the Queen Of The Turf Stakes (1600m) at Randwick in April 9. His dam has already foaled Uxorious who won the LR Wangoom Hcp at Warrnambool in 2011 before signing off with a Group 3 in Adelaide later that year. And the bottom of his page is held up by none other than Black Caviar. Champagne (Zabeel) was NZ Champion WFA Horse of the Year in 1999 and she also won at Group 1 level in Australia at Flemington (VRC Mackinnon Stakes) and Rosehill (STC Ansett Stakes). She has foaled 8 winners from 8 to the races including the stakes winning fillies Nadege (Giant’s Causeway) and Martique (Danehill). 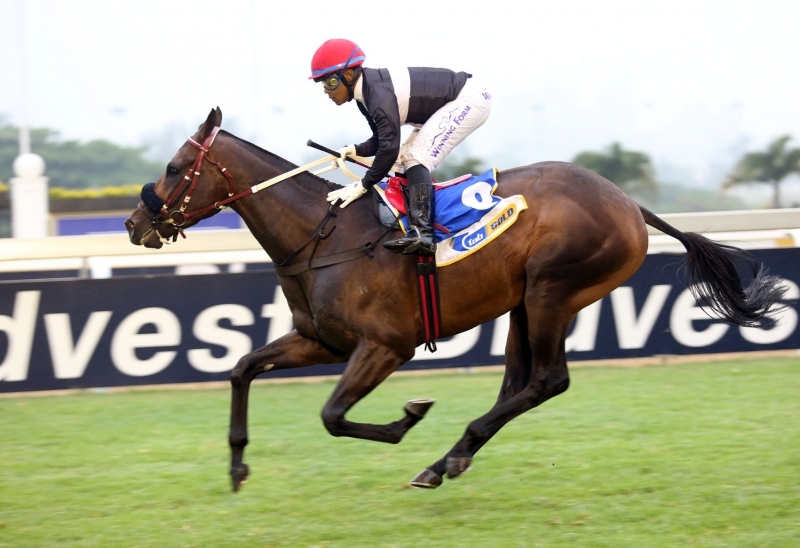 Supreme Thoroughbreds graduate Ten Gun Salute has a couple of Group 1 options ahead in South Africa after his last-start Group 3 victory at Greyville. Race like the lucrative G1 SA Classic (1800m) and the G1 Daily News (2000m) await the Duncan Howells trained colt who cost just $10,000 from Supreme’s yearling consignment out of Romsey in 2014. Ten Gun Salute has always been rated highly by connections he repaid that faith with a smashing win in the G3 Michael Roberts Handicap (1800m). Taking a big rise in class from his last win, the colt finished with a rattle to get up close home and put a good field to bed under Muzi Yeni. Ten Gun Salute was pin-hooked by Heritage Bloodstock from Supreme Thoroughbreds and his value increased to R1.15 million (AUD 104,585) when topping the final session of the South African Ready To Run 2YO Sale. He was purchased by Allan Bloodlines on behalf of owners Hein and Hester Kuhn who are looking forward to the classics with growing confidence. Ten Gun Salute is by Henrythenavigator and is a half-brother to G3 SAJC Fillies Classic winner Red Typhoon (Hold That Tiger). Their dam Ladybird Blue (Bluebird) was a Listed winner of the Great Western Stakes at Moonee Valley. The Supreme team has catalogued 34 lots – its largest ever consignment – for the 2016 Inglis Melbourne Premier Sale. Moorookyle Park vendor Nioka Wozny received a timely result before the Melbourne Premier when Welcome Stryker won the Super VOBIS 3YO Plate (1600m) at Ballarat on Sunday. Trainer Danny Curran bought the son of Stryker for $10,000 from Moorookyle Park at the 2014 Inglis VOBIS Gold yearling sale. 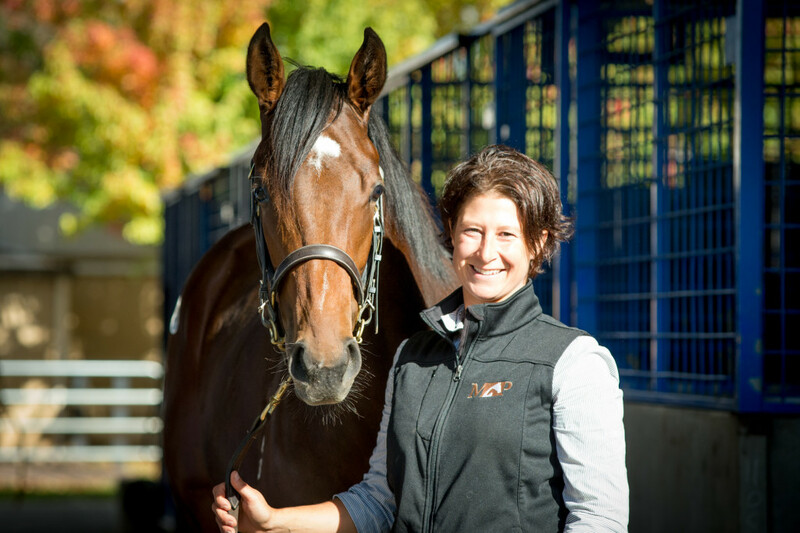 Wozny is looking forward to showcasing her yearlings at Oaklands. They were bred by Hampton Heath Thoroughbreds and include an eye-catching filly by Statue Of Liberty from Veeandvee (Lot 697). The dam was a talented O’Reilly mare who won five times in Singapore. Second-dam Aspects Of Love (Famous Star) won the LR Canterbury Breeders Stakes at Riccarton. Moorookyle Park’s colt by Darley sire Skilled (Lot 741) is a half-brother to Sha Tin winner Bite My Dust and the city placed three-time winner Signed And Sealed. Their dam Curtseys (Celtic Swing) has a 100% strike-rate as a broodmare and she is closely related to recent stakes winners Lite’N In My Veins (G3 Lee-Steere Classic) and Tuscan Sling (G3 Bellmaine Stakes). It’s the prolific Stage Hit family that has also produced big race winners Starline, Beechcraft, Bullwinkle, Silver Wraith and Silver Nymph. Moorookyle Park is stabled in Barn E at Oaklands. Mr Callander admitted during a hearing conducted by Racing NSW Stewards that he had been involved in the sale of a racehorse to Hong Kong for $200,000 despite telling the owners that the horse had been sold for $140,000. “It is very disappointing for a senior journalist to say during a stewards inquiry that kickbacks and secret commissions are racing’s ‘dark little secret’,” said FBAA President Adrian Hancock. “Those comments are a slur on the participants in the industry who operate professionally and honestly. This is a story of an orphan thoroughbred foal and his breeder who have succeeded despite the challenges placed before them. On the evening of September 10th, Glen Eden Thoroughbreds’ mare Manhattan Dream decided it was time for her first foal to greet the world. The Kilmore based farm run by experienced horseperson Sonia Carboni greeted colt that evening by Blue Gum Farm’s sire War. Sadly, Manhattan Dream passed away twenty minutes later leaving behind a healthy albeit now orphaned foal. 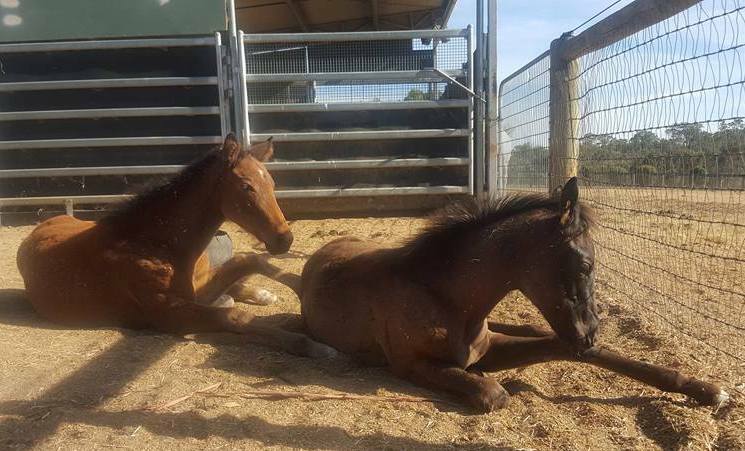 The local breeding network swung into action (as it does often in these unfortunate circumstances) and a mare, Razz and Red, was offered by Euroa’s Noor Elaine Farm. The newborn, nicknamed Atomic, took to the foster mum quickly. “She was a beautiful mare with an incredibly kind nature,” Sonia said. But, alas, when Atomic was just six weeks old, Razz and Red presented with colic and was euthanased with a suspected twisted bowel. “It was very upsetting to all involved,” said Sonia. And here is where the story took a unique twist. Brambles, owned by Terry Henderson and Simon O’Donnell’s OTI Racing, won more than $825,000 on the track under the tutelage of Peter Moody. He won the Group 1 Queensland Derby and ran in the 2014 Melbourne Cup. Brambles was retired at age seven due to a tendon injury and called Kilmore home at Simon O’Donnell’s property. “Bramble is a very gentle kind soul and befriended Atomic,” Sonia said. After the two setbacks with the deceased mares, Atomic fell behind in terms of weight, but with Brambles on the scene he improved markedly. “He is a tough little mite!” exclaims Sonia. Happily four months later, Atomic is now doing really well and putting on lots of weight. And he also has a new friend in the form of another orphan, a Reward for Effort filly from another farm. “They are in love and sleep together all the time,” Sonia said. 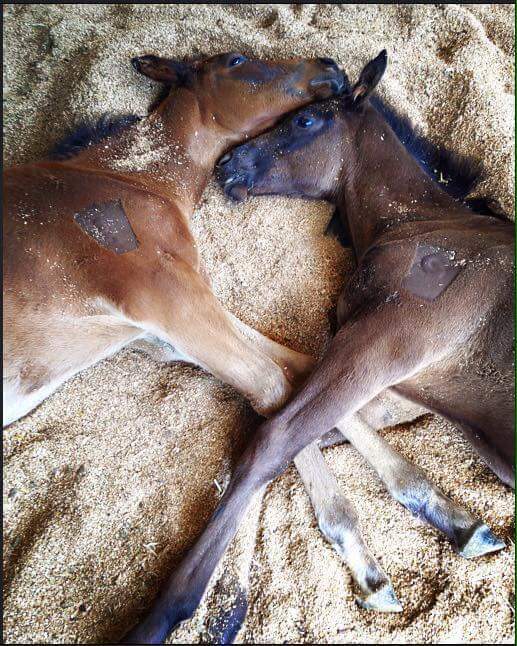 Sonia’s story of double tragedy and ultimately happiness for two young orphaned foals is a great example of the care breeders have for their horses. And it is also a great story of the work done by retired racehorses, in this case a genuine retired star of the track. Another Group 1 race at Hong Kong’s Sha Tin racecourse, another win by new star on the block, the Victorian bred Sun Jewellery. In fact, the first three placegetters for both January’s Group 1 Classic Mile and Sunday’s Group 1 Classic Cup were identical. That included the GSA Bloodstock Victorian bred Blizzard (by Rosemont Stud sire Starcraft) coming in a very close third. It is a tremendous result for long time breeders the Tung family and for West Gippsland’s Briarwood Farm with whom the Tungs agist their breeding stock. Sun Jewellery was the first Group 1 winner bred off the farm. Briarwood principal Lisa McMaster said the Tungs have been clients for more than 25 years with her father and now her and her partner Gavin McMaster. He left for Hong Kong in 2014 after wins at Bairnsdale and Kyneton and continues to race in the Tung family colours. 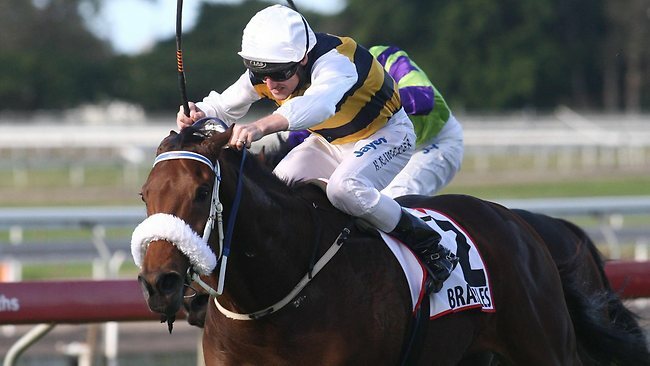 He has now won eight races and almost AU$2.9 million in prizemoney. “Sun Jewellery’s a class horse and class usually tells over a distance. He’s got an awful lot of courage and that as well as his attitude are the two things that stand out about him most,” his champion jockey Ryan Moore said. Trainer George Moore will now set Sun Jewellery on a course to make history in Hong Kong by winning the final leg of the three Group 1 classics for four-year-olds, the 2000m Group 1 Hong Kong Derby in March. With a big sale coming up, Limerick Lane has hit a purple patch of winners in the past fortnight with no less than four winners including a Group 3 win by Tuscan Sling and most recently a maiden win by the Robbie Griffiths trained Song One. The Laceby Lodge bred galloper Miss Seton Sands is set to come ‘home’ from New Zealand and be trained in Australia by Tony McEvoy. The 4yo Victorian bred mare (Gonski-Whodat Cugat, by King Cugat) has won seven of her 14 starts – including the Listed NZ Bloodstock Insurance Stakes and finished runner-up in last month’s Group 1 Telegraph at Trentham. Group 1 winning trainer Jason Bridgman has moved from New Zealand and set up a new stable at Pakenham in recent months. He got his debut Australian based winner at Sale last week in the form of Aldo, a horse bred and owned in Victoria by the Joseph family. The Pat Carey gelding Dan Zephyr (Danbird – Eliza Dream) got his third city win in a row at Flemington on Saturday. He was bred (and is part owned) by Colin Purss. The dam Eliza Dream has a yearling colt by Magnus and was covered by Bullarook Park sire Lucas Cranach last year. The imported brother of Swettenham Stud sire Puissance de Lune, His Majesty (by Shamardal), resumed racing last week with a win at Newcastle. Racing for Central Coast trainer Kim Waugh, he is now being set for the lucrative Provincial Championships having has now won 4 of his 11 starts for $66,559 in earnings. Impressive Gilgai Farm bred Supido, trained by Cranbourne’s Mick Kent, won at Moonee Valley with style and now looks set for stakes races, perhaps even the Group 1 Newmarket. 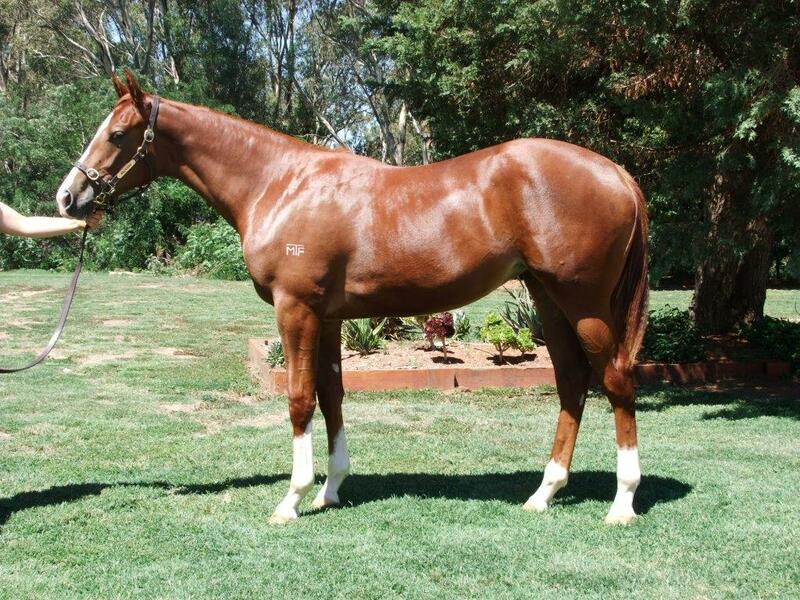 Gilgai are selling his half brother (by Smart Missile, out of Lady Succeed) at the Inglis Premier Yearling Sale. A winning double achieved at Hong Kong on the weekend for Darley’s Victorian sires. Courageous Brother (by Domesday) & Rapper Dragon (by Street Boss) both saluted. The Tolson/Proctor training partnership from Gippsland have found themselves a handy Victorian bred galloper in Buckler. He won his second in a row at Ballarat on the weekend. He is by a little known former Victorian sire Shield who is a half brother to Darley sire Domesday. Black Caviar’s ‘uncle’, Beluga Caviar (out of Scandinavia) got his secod win at the Ballarat races on Sunday. He was bred by Rob Crabtree and sold at the 2013 Inglis Easter Yearling Sale for $1.2 million and is now trained by David Hayes/Tom Dabernig.